At Dr.Virmani’s Dental Centre, we are delighted to be amongst very few Indian Dentists to offer metal free crowns in just 5 working days. 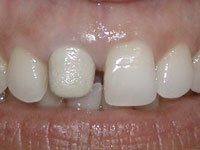 We use the world’s renowned and trusted Procera from Nobel biocare. 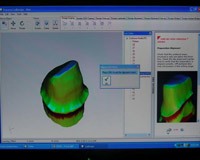 Nobel Biocare's unique Procera® technology offers esthetic and functional dental restorations. 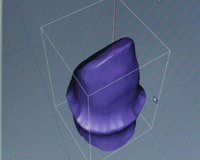 Based on the latest scanning, CAD/CAM (computer aided designing and computer aided milling) and manufacturing technologies, the Procera® system provides completely individualized prosthetics with unbeatably precise fit for crowns, laminates, abutments and bridges. 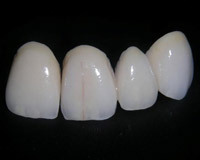 By combining the Procera® manufacturing technique with Alumina and Zirconia ceramics, an unrivalled combination of biocompatibility, beauty, and strength is guaranteed. Both Alumina and Zirconia refract and transmit light in much the same way as a natural tooth, thereby giving the restoration a natural looking appearance. 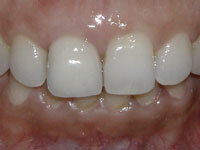 First universally recommended all-ceramic crown for both anterior and posterior applications. 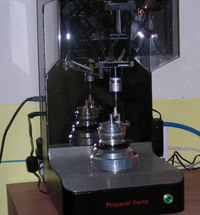 Densely sintered Aluminous oxide coping milled using CAD-CAM technology for optimal fit. 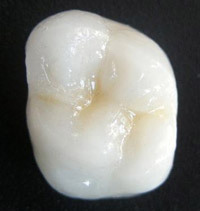 All Ceramic low abrasion porcelain is specially adapted to the coping's translucence and fluorescence. Allows light to pass through but won't show grey from posts or amalgams.